Dragons. Are they real? Are they a mythical creature? 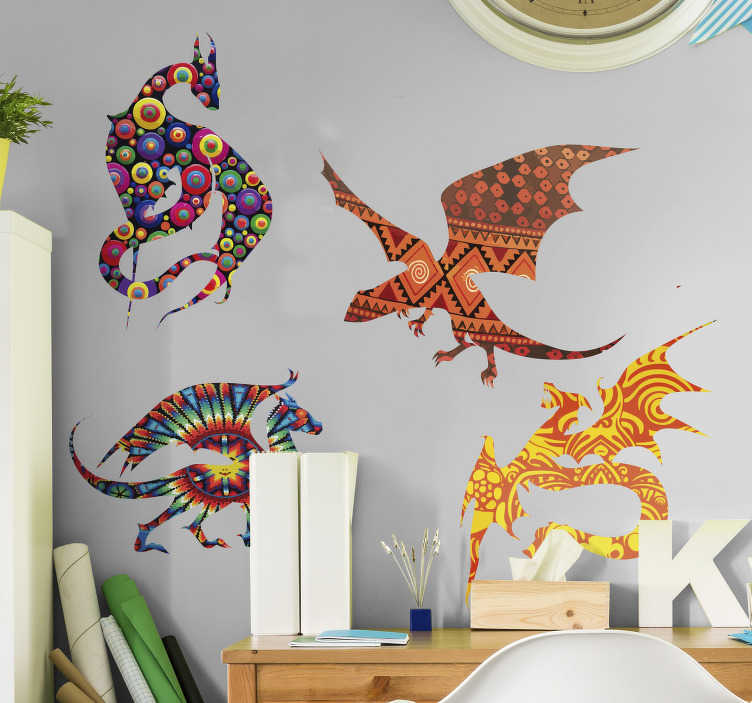 Well, it depends on who you ask, but we at Tenstickers know that this wall art sticker is as real as anything in the world, and it depicts a group of dragons, so where is the argument! Perfect bedroom decor for all those dragon lovers out there!